David Witherell presents Dan Hull with a plaque commemorating his service to fisheries. After serving 3 full terms – 9 years – Dan Hull chaired his last Council meeting in Kodiak, Alaska. Mr. Hull has served as Council chairman for the past 4 years and during his tenure on the Council has chaired the Halibut and Sablefish IFQ Committee, the Observer Advisory Committee, the EM Work Group, and the Executive, Finance, and Legislative Committees. He has also served as an alternative commissioner to the IPHC and currently serves as alternate commissioner to the North Pacific Fish Commission. The public was given a chance to roast and toast Mr. Hull at a reception in his honor at the Afognak building during the meeting. Many thanks to the organizations that donated seafood! Mr. Hull thanked current and past council members, staff, and others in the process, and noted that while he may taking a much needed break following this meeting, he still intends to stay involved with Alaska fisheries issues. Dr. Ron Felthoven (AFSC) was appointed on an interim basis for the remainder of the year to replace Dr. Matt Reimer, who will be on sabattical. Dr. Felthoven’s appointment, conditional on confirmation by the Council in October, will continue through December, at which time the position will revert to the regular nomination process. The Council appointed Ms. Lisa Hillier (WDFW) to serve on both the Bering Sea and Gulf Groundfish Plan Teams, with her time participating on those two bodies based on the issues under consideration by each team. Ms. Hillier is a scientist in the WDFW Marine Fish Science Unit with a background in population assessment for both groundfish and shellfish management, and ecosystem investigations. Her experience includes work with trawl and ROV surveys. Also appointed to the BSAI Plan Team is Dr. Steven Barbeaux, Dr. Kalei Shotwell, and Ms. Jane Sullivan. Dr. Barbeaux (AFSC) has strong quantitative skills and knowledge of flatfish, pollock, and Pacific cod, population dynamics. In addition, he has authored stock assessments for Greenland turbot, Aleutian Island pollock, and GOA Pacific and publications on fisheries dependent sampling, spatial modeling and acoustics. Dr. Kalei Shotwell, (AFSC), will replace Dr. Dana Hanselman who is now on the SSC. Dr. Shotwell has strong quantitative skills and knowledge of stock assessment and has authored and co-authored numerous rockfish SAFE chapters for over ten years and has recently worked on integrating ecosystem and socio-economic considerations with stock assessment through the development of Ecosystem and Socio-economic Profiles (ESP) is a major step to bring ecosystem-based science to the NPFMC. Ms. Sullivan, (ADF&G), has been participating in a temporary role on the Plan Team since Dave Barnard’s retirement. Jane is currently a biometrician responsible for various groundfish stock assessments and is assisting in developing an age-structured Pacific herring model. The Council appointed Dr. Peter Hulson (AFSC) serve on the NPFMC Gulf of Alaska Groundfish Plan Team to replace Dr. Jon Heifetz who is retiring. Dr. Hulson has strong quantitative skills and knowledge of rockfish population dynamics, and has authored rockfish SAFE chapters, and other publications on spatial modeling, tagging data, and age composition sampling. Pete also has extensive at-sea fieldwork experience having participated in AFSC longline and acoustic surveys as well as working directly with the rockfish trawl industry. Dr. Cody Szuwalski (AFSC) is appointed to serve on the NPFMC Bering Sea Crab Plan Team. Dr. Szuwalski has strong quantitative skills and knowledge of crab life history, spatial modeling, snow crab stock assessment, fish and shellfish population dynamics. He recently authored the Bering Sea snow crab SAFE chapter, and has published papers on climate ready fisheries management, trophic cascades, spatial models and next generation stock assessment techniques. The Council appointed members of the newly formed Salmon FMP Committee: Erik Huebsch, Dan Anderson, Dino Sutherland, Hanna Heimbuch, and Mike Casseri. The Council Chair will appoint a Council member to Chair the committee before their first scheduled meeting. The Chairman provided a statement explaining his choice of committee composition. The rationale for his initial appointments was spoken into the record and is provided below and on the Council website. In October last year the Council decided to form a Salmon FMP Committee to assist in the development of measures necessary to satisfy Section 303(a) of the MSA and related MSA provisions. At this time, the focus of the analytical and technical work to revise the Salmon FMP is on Cook Inlet only. The detailed structure of the analysis has not been developed: The Alternatives are very generally identified as 1. No Action; 2. Cooperative management with the State; and 3. Federal management. My selection of this initial group of Salmon FMP Committee members focuses on the primary affected stakeholders, the Cook Inlet drift gillnet permit holders, who fish in the EEZ waters of Cook Inlet. The tasking that the NPFMC has given to the Salmon FMP Committee is also primarily focused on measures related to management of the drift gillnet salmon fisheries in the EEZ. I recognize that these management measures may affect other stakeholder groups and that there is strong interest from a wide range of those groups to join the Salmon FMP Committee. I expect that at a future date the Council could determine, based on the progress of FMP development, that additional tasks for the Committee warrant selection of representatives from other stakeholder groups. The analysis, scheduled for December, could provide the impetus for those selections. Until that time, all interested stakeholder groups are welcome and encouraged to attend the Committee meetings, these meetings are open to the public. Members of the public can participate and engage with the Committee consistent with our established processes for Council committees. One of the main goals at the first Committee meeting, which would occur sometime prior to the December Council meeting will be to orient the Committee members to the federal fisheries management process, especially those who are new to it. Finally, I expect to discuss appointment of a Committee Chair with Council members over the next few months and may be able to make that appointment before my term ends in early August. This selection of Committee members is consistent with standard Council practice and Council SOPPs, which is to solicit names from the public for appointment by the Council Chairman. Appointments to committees and other subsidiary bodies are always announced at the end of Council meetings. Selection of the initial Committee members at the June Council meeting gives them time to prepare for review of the initial FMP analysis. Staff contact is Jim Armstrong. In April 2018, the Council reconstituted the EM Workgroup, which provides a forum for collaboration on EM development between industry, agencies, and EM service providers, to focus on trawl EM implementation. The group met in May, but is currently lacking a representative from the processing sector, and dockside monitoring may be an important component of the development of a trawl EM program. The trawl EM Workgroup’s next meeting is tentatively scheduled for August 13-14, in Seattle. If you are interested in joining the trawl EM Workgroup as a representative from the processing sector, please send a letter of interest to Elizabeth Figus at the Council office by noon on July 13, 2018 (elizabeth.figus@noaa.gov; 907-271-2801). The Council is seeking nominations for additional membership for the SSPT to add expertise in Local and Traditional Knowledge and those who work directly with rural and Alaska Native coastal villages and/or tribal organizations in the fields of anthropology, human geography, and sociology. The purpose of the SSPT is to provide inter-agency support to improve the quality and application of social science data that informs management decision-making and program evaluation, and to strategize medium- and long-term improvements in data collection and analytical methodology. As described in the SSPT charter proposal, membership shall generally be limited to affiliates of public organizations and academic institutions. A resumé or curriculum vitae and letter of intent should be submitted to Sarah Marrinan at the Council office by noon Alaska time, September 28, 2018. The Council’s intent is to review applications and make appointments at the October Council meeting. More information on the Social Science Planning Team, and its current membership, can be found here. The North Pacific Fishery Management Council’s Community Engagement Committee is established to identify and recommend strategies for the Council and Council staff to enact processes that provide effective community engagement with rural and Alaska Native Communities. Effective community engagement may involve two-way communication between the Council and communities at additional stages of the Council process or a project and allow for community concerns, information, perspectives, and priorities to be shared clearly with the Council, whether part of an active Council action or not. Nominations are encouraged from full-time residents of rural or tribal communities and those with specific expertise in rural and tribal communications. To submit a nomination, please send a letter of interest and brief resume to Steve MacLean (steve.maclean@noaa.gov) at the Council office. Nominations will be accepted until September 28, 2018 at noon (12:00 PM). Committee members will be appointed by the Council chair at the October Council meeting in Anchorage, AK, with the first meeting tentatively sometime in the fall. In Kodiak, the Council received an update from NMFS staff concerning an ongoing deck sorting analysis. NMFS is developing a proposed regulatory amendment to implement voluntary halibut deck sorting on trawl catcher processors when operating in non-pollock groundfish fisheries off Alaska. The proposed amendment is derived from the exempted fishing permits (EFPs) issued by NMFS to Alaska Seafood Cooperative (formerly Best Use Cooperative) from 2009-2019 to test handling methods (deck sorting) for reducing halibut mortality in non-pollock groundfish fisheries. The deck sorting analysis is being completed internally at NMFS and is in a draft Regulatory Impact Review stage. At the Kodiak meeting, NMFS consulted with the Council about the draft deck sorting analysis to provide an opportunity for Council members and the public to identify questions or other areas of concern with the work. The agency described plans to formulate annual monitoring plans with help from interested stakeholders, to allow maximum flexibility for the deck sorting program over time. The Council is not taking action on this draft analysis and may receive updates at future meetings about the analysis, including the annual monitoring plan. Staff contact is Elizabeth Figus. The Council received a presentation about the Observer Program Annual Report for 2017 and a report from the Observer Advisory Committee (the OAC, which will in future be renamed the Fishery Monitoring Advisory Committee). The Annual Report provides a scientific evaluation of the deployment of observers in 2017, to assess whether the objectives of the Observer Program were met that year. The report also includes information describing the program, enforcement trends, outreach efforts, and agency recommendations for developing the 2019 Annual Deployment Plan (ADP). The Council commends the agency on the Annual Report, and the ability it provides to adjust and improve the program. The Council supports NMFS’ recommendations for the 2019 ADP listed in section 7.1 of the Annual Report, including keeping the same 2018 deployment strata for 2019 (i.e., trawl, hook-and-line, pot, tender trawl, tender pot, electronic monitoring (EM)). If funds are available, the Council recommends expanding the EM selection pool to a maximum of 165 vessels in 2019, and continuing the 30% trip selection rate. Additionally, the Council requests that the draft 2019 ADP include an evaluation of a new approach to determine observer coverage rates—referred to during the meetings as a ‘weighted gear-specific hurdle’ approach—that provides a minimum base level of coverage in each gear stratum (the gear-specific hurdle), and then optimizes any remaining coverage among the strata based on discards, catch of prohibited species, and a new element: the degree to which a regulatory area has low fishing effort. This evaluation will allow the Council and the agency to consider, in October, different approaches for how to best optimize funds in the program, while continuing to meet the standards of the existing program sampling design (e.g., collecting data for catch accounting, stock assessment, etc.). The Council also provided specific recommendations for next year’s Annual Report. Given the strong interest in understanding prohibited Species Catch (PSC) in trawl fisheries, the Council continues to request that the next Annual Report distinguish pelagic and non-pelagic trawl trips when reviewing performance metrics to monitor for an observer effect. Also, the next report should include more details about EM implementation, including comparing the cost per day of EM and observers over time. The Council encourages continued engagement of the industry in EM development and implementation. In the Annual Report presentation on enforcement, the Council learned that there were fewer statements received by the Office of Law Enforcement (OLE) during 2017 than in prior years, suggesting overall improvement, perhaps creditable to an increased number of officers in the field. At the same time, it was noted that some issues, especially sexual violence, are known to go unreported or be reported late. The Council appreciates and acknowledges preliminary results from survey work on un(der)-reported issues, which suggest a disparate work environment for female and male observers. The Council encourages efforts to further understand work conditions so that solutions might be developed. The Council acknowledges and supports the continued involvement of a subgroup of the OAC in the ongoing analysis to adjust the partial coverage observer fee, as described in the OAC report. An Initial Review Draft of the fee analysis is anticipated in December. Staff contact for observer issues is Elizabeth Figus. In Kodiak, the Council received an update about fixed gear and trawl EM development from the Electronic Monitoring Workgroup (which has now been renamed the EM Committee) and endorsed preliminary monitoring objectives for trawl EM development. In April 2018, the Council reconstituted membership on the EM Workgroup to reflect a transition from the development and recent implementation of EM for fixed gear, to a new focus on developing EM systems on trawl catcher vessels in the Bering Sea and Gulf of Alaska. The old and new memberships held a joint transition meeting in May. During the portion of the meeting devoted to fixed gear, the group developed a list of remaining fixed gear EM implementation topics to handover to the OAC (now renamed as the Fishery Monitoring Advisory Committee), which will now regularly advise on the integrated observer and EM program. improve the quality of monitoring data. The Council appreciates these are preliminary objectives which may be amended or added to in the future. The Council endorsed the group’s initial focus on developing a program to use EM on trawl vessels for compliance purposes, in conjunction with a full retention requirement, and directed the trawl EM Committee to develop a cooperative research plan for 2019. The Council appreciated the rigorous schedule outlined by the trawl group to develop the cooperative research plan, and expects that progress on developing a trawl EM program may proceed more rapidly than occurred with fixed gear. This is due partly to the ability to build on the methods developed for the fixed gear approach, and also because there may be models from compliance-based trawl EM models in other regions (e.g., the west coast whiting fishery). Rapid progress is dependent on securing external funding for the earliest stages of trawl EM development, as revenue from the partial coverage observer fee can only be used to support EM once a program is implemented. The Council encourages trawl EM Workgroup members to apply for grants to support field work in 2019. Without such funding, some areas (e.g., the western GOA) may be delayed by a year in EM implementation. Staff contact is Elizabeth Figus. The Council approved the SSC’s OFL and ABC recommendations for the Aleutian Island Golden King Crab stock, and received recommendations from the SSC and the Crab Plan Team on model scenarios and other items taken up at their Spring 2018 Crab Plan Team (CPT) meeting. For AI Golden King Crab, the Council adopted the OFL of 12.16 million lbs. and the ABC of 9.12 million lbs. for the 2018/19 fishing season as recommended by the Crab Plan Team, AP and SSC. The SSC and CPT also reviewed and made recommendations on model scenarios for snow crab, Bristol Bay Red King Crab, EBS snow crab, and Tanner crab. Final specifications for five remaining BSAI crab stocks will be made in October following incorporation of summer survey data. 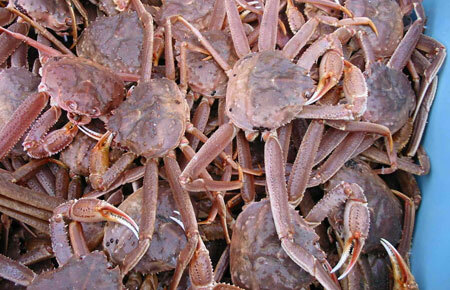 The SAFE chapter for the Aleutian Island Golden King Crab stock as well as the Crab Plan Team report are available on the Council’s website. Staff contact is Diana Stram. At the June 2018 meeting, the Council completed an initial review of the draft Regulatory Impact Review (RIR) that would require full retention of all rockfish species for fixed gear catcher vessels (CVs) in the Bering Sea/Aleutian Islands (BSAI) and Gulf of Alaska (GOA). After reviewing the RIR, the Council released the document for public review. Requiring full retention of rockfish by fixed gear CVs would improve identification of species catch composition when CVs are subject to electronic monitoring; improve data collection by providing more accurate estimates of total catch; reduce incentives to discard rockfish; may reduce waste; reduce overall enforcement burden; and provide more consistency in regulations. The Council, at this meeting, also selected a preliminary preferred alternative. The alternative selected would require full retention of rockfish species by all fixed gear CVs (hook-and-line, pot, and jig) in the BSAI and GOA. The preliminary preferred alternative also includes two options. 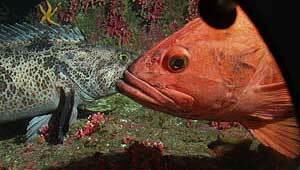 The first option would require full retention of rockfish even if the rockfish species is on prohibited species status, but would prohibit these retained rockfish from entering commerce. The second option would establish a maximum commerce allowance (MCA) of 10% or 15%. The purpose of the MCA is to constrain vessels from increasing rockfish incidental catch under a full retention regulation, while allowing vessel operators to sell most of the rockfish catch that is truly incidental. Staff contact is Jon McCracken. After reviewing the initial review analysis for halibut retention in pots in the Bering Sea and Aleutian Islands (BSAI), the Council revised its purpose and need statement and chose a preliminary preferred alternative (PPA). The preliminary preferred alternative would allow retention of halibut in pots in the BSAI, if participants have sufficient halibut IFQ or CDQ for the appropriate regulatory area. The Council recommended the analysis be released for public review pending certain changes and additions. Elements identified in the PPA include: an exemption to the 9-inch maximum width of tunnel opening, VMS and logbook requirements for all vessels using pot gear to fish IFQ/CDQ, and in the event that the overfishing limit for a shellfish or groundfish species is being approached, regulations would allow NMFS to close IFQ fishing for halibut in the BSAI or GOA as necessary. NMFS would use the current in-season management process to establish specific closures by fishery, gear type, and/or areas of concern that are interacting with the stock nearing its OFL. Additionally, under the PPA, the Pribilof Islands Habitat Conservation Zone would be closed to all fishing with pot gear. The Council requested that prior to releasing a new draft, staff address changes to the current motion and incorporate the Council’s comments, including a discussion of how gear retrieval and storage requirements would impact the existing BSAI sablefish pot fishery. Due to concerns over bycatch, particularly Pribilof Islands Blue King Crab, the Council also asked staff to further explore potential crab escapement mechanisms in halibut pots. Additionally, the Council requested that staff develop a list of potential topics to review regarding the effects of allowing retention of halibut in pot gear, which would be reviewed by the Council three years after implementation of a halibut pot fishery in the BSAI. Staff contact is Sara Cleaver. Changing the language to state that qualification for catcher processors to act as a mothership would be based on targeted Pacific cod landings (Alternative 2). The sideboard limit (Alternative 3) will be set for the BS “A” season or “A” and “B” season and apply to all catcher processors limited by the action; staff had interpreted the original motion to have applied to the BSAI and for the entire year. A sub-option was added to Alternative 3 that would exempt any catcher processor from the sideboard limit if it had received deliveries in 7 or more years from the BSAI non-CDQ Pacific cod trawl CV fishery and the catch delivered to those catcher processors would not accrue to any sideboard limit established for catcher processors that a limited when acting as a mothership. Alternative 4 was modified to clarify that both the catch accounting system (CAS) target definition and the fish ticket target definition would be considered for determining which catcher vessels would be eligible to deliver BSAI Pacific cod in the future. An option was also added to exempt the 8 severable Aleutian Islands trawl endorsements on LLP licenses, established under BSAI Amendment 92, from the proposed BSAI landings requirements for trawl CVs. The Council also added two new alternatives in addition to the four previously identified. Alternative 5 would establish AFA and non-AFA sector allocations for the BSAI non-CDQ Pacific cod trawl CV “A” season. Elements of the alternative do not yet define specific allocation percentages or years to consider when dividing the allocation between the two sectors. Staff will provide information in the next iteration of the document to aid the Council in identifying specific options for dividing that component of the BS TAC among the AFA and non-AFA sectors. Staff was also asked to provide information on actions that would be necessary for the non-AFA sector to develop a cooperative or cooperatives to fish their Pacific cod allocation. Alternative 6 was added to the document to ensure that Amendment 80 catcher processor vessels that have been replaced and no longer have an Amendment 80 quota share permit or an Amendment 80 LLP license would be prohibited from acting as a mothership for Pacific cod in the future. The restriction would apply to both the BSAI and GOA. The Council also clarified that the BSAI CV non-CDQ Pacific cod trawl participation amendment and the AI Pacific cod set-aside amendment should not be combined into a single amendment package. Combining the two proposed amendments would likely delay implementation of the AI Pacific cod set-aside amendment, which is scheduled for initial review during the October 2018 meeting. The revised problem statement and list of Alternatives and options are available on the Council’s website under the C-6 June agenda item. Staff contact is Jon McCracken. The Council initiated an analysis of alternatives to modify the existing four-season structure of the Western and Central GOA pollock fishery and the relative allocation of the trawl CV sector’s annual Pacific cod TAC across A and B seasons. For pollock, the Council will consider combining the existing A and B seasons into a single season that runs from January 20 through May 31 and combining the C and D seasons into a single season that runs from August 25 through November 1. The Council could also increase the 20% limit on inter-season rollovers of uncaught pollock TAC to 25% or 30%. For Pacific cod, options could result in as much as a 15% shift of trawl CV TAC from the B season to the A season relative to status quo. The Council articulated the purpose and need for such an action, noting that the existing seasonal allocation of pollock and Pacific cod TAC sometimes results in inefficiencies such as unharvested groundfish and the need to fish during times when encounter rates with prohibited species – halibut and Chinook salmon – are known to be higher. Given the many existing challenges in managing and prosecuting these limited access trawl fisheries, the Council is seeking small changes that improve fishery outcomes without causing unintended redistribution of fishing opportunities across management areas or gear sectors. To the latter point, the Council considered options that would have shifted pollock TAC to the earlier part of the calendar year, but those options were not carried forward for analysis because they would have resulted in a net shift of annual TAC to one of the three affected management areas. The Council recognized that the existing seasonal allocations were implemented as Steller sea lion (SSL) protection measures, and that modification requires analysis of potential effects on SSLs and consultation with NMFS Protected Resources division once a preferred action has been recommended. The need to consult on SSL effects does not affect the Council’s timeline for developing a preferred alternative. Staff contact is Sam Cunningham. The Council reviewed a discussion paper on nonpelagic trawl and pot cod effort and observer coverage in two ADF&G statistical areas around Kodiak Island as well as in Chiniak Gulley (see Figure), and chose to take no further action. The discussion paper was a targeted follow up to a 2017 discussion paper on the protections afforded to Tanner crab in the Central Gulf of Alaska (CGOA), given concerns about whether the recovery of Tanner crab in the CGOA is constrained by mortality associated with groundfish fisheries. Tanner crab in the CGOA are under State management, and the distribution of Tanner crab overlaps, in part, with the Federally-managed CGOA groundfish fisheries. The 2017 paper concluded that the factors constraining Tanner crab stock recovery in the CGOA are complicated and are likely to include multiple environmental factors whose relative impact is not well understood. The discussion paper showed that nonpelagic trawl and pot cod effort has generally declined since 2011-2012 in the statistical areas of concern. A possible exception is the arrowtooth flounder trawl fishery that appears to have increased effort in 2016 and 2017. Effort in those years, as measured in the discussion paper, was greater than in all years except 2011. Nevertheless, the variation in Tanner crab PSC in groundfish fisheries appears to be most strongly related to the ADF&G estimates of Tanner crab abundance, rather than fishery effort. The paper also reported on observer coverage. Observer coverage in the areas of concern has been proportional to coverage in other areas in the CGOA. While it was discussed at the meeting whether to consider increasing observer coverage in these statistical areas, such an action would negatively impact observer coverage in the GOA as a whole, and would also upset the statistical basis for the deployment of observers. The Council chose to take no further action on this issue at this time. Developing an electronic monitoring program for trawl CVs in the CGOA, which is a Council objective underway through the Trawl EM Committee, should help improve the precision of current Tanner PSC estimates, and also assist in determining if observer effects are a consideration for this issue. Staff contact is Jim Armstrong. The Council heard a report from the newly formed Social Science Planning team (SSPT), which hosted its first in-person meeting May 8th and 9th. The purpose of the SSPT is to provide inter-agency support to improve the quality and application of social science data that informs management decision-making and program evaluation, and to strategize medium- and long-term improvements in data collection and analytical methodology. The SSC provided feedback on the meeting report, and the Council asked SSPT members to review and consider SSC comments at their interim teleconference (likely in November). For instance, the SSC suggested the SSPT refine and clarify its scope and meeting goals, consider and define its policy on making recommendations (i.e., voting or consensus-based), and incorporation of public testimony. The Council also tasked SSPT members to develop a term of reference for operations and additionally review whether other Regional Fishery Management Councils have bodies that work to incorporate social and economic information into decision-making. The Council is seeking nominations for additional membership for the SSPT to add expertise in Local and Traditional Knowledge and those who work directly with rural and Alaska Native coastal villages and/or tribal organizations in the fields of anthropology, human geography, and sociology. Additional information is described on Call for Nominations. Staff contact is Sarah Marrinan. In June 2018, the Council established an ad-hoc Community Engagement Committee and is soliciting nominations for the new committee. The Council took action after reviewing a staff discussion paper requested in April 2018, which presented considerations for how the Council could foster engagement with rural and Alaska Native communities. The paper presented a series of questions to the Council regarding potential scope, membership, and role of a Community Engagement Committee. The Council is seeking nominations from rural and tribal representatives and people with necessary expertise to accomplish the committee’s goals of assisting the Council in developing successful engagement and outreach tools and processes to facilitate improved communication and understanding between rural communities and tribes and the Council. The committee will not develop specific policy recommendations. Staff contact is Steve MacLean. At this meeting, the SSC and the Council reviewed a new ADF&G model for assessing the postseason abundance estimates for Chinook salmon on the Kuskokwim River, which is a contributing factor in the specification of the Chinook salmon PSC limit for the Bering Sea pollock fishery each fall. Amendment 110, implemented in July 2016, modified the Chinook and chum salmon bycatch avoidance program in the Bering Sea pollock fishery. In addition to other measures, this amendment identified additional management actions that would be taken when a three-river index of Western Alaska inriver run abundance (Unalakleet River, Upper Yukon River, and Kuskokwim River) falls below a 250,000 Chinook salmon threshold, based on the State of Alaska’s post-season inriver Chinook salmon run size assessment. Since 2015, ADF&G has generated postseason abundance estimates for the three rivers that comprise the index using methods consistent with the analysis for Amendment 110. This year, ADF&G has recommended changes to the data and model used to estimate total inriver abundance of Kuskokwim River Chinook salmon. The changes to the Kuskokwim River run reconstruction model were developed, in part, to address changing harvest patterns that resulted when significant harvest restrictions were implemented. Between 2014 and 2017, annual Chinook salmon harvest in the Kuskokwim River was among the lowest on record in this river. The previous model overestimated the total Chinook salmon runs in those years. For purposes of use in the 3-river index, ADF&G has indicated that any modification to the methodology for estimating these post season abundance estimates would be reviewed in the Council process before being adopted for the index. The SSC and Council reviewed this new model for assessing the Kuskokwim River by the ADF&G. The SSC appreciated the time and effort that has gone in to model improvements and indicated that it represents an improvement over the previous model. The model is scheduled to be used both for in-river management in 2018 as well as for contribution to the 3-river index for federal management of the Chinook salmon bycatch limit for 2019 specifications. A companion document was provided for understanding the implications of the model revisions on the relationship of the three-river index to western Alaskan AEQ, which was the basis for the 250,000 fish threshold that was set in Amendment 110. The new scaling of the model using more recent mark recapture data results in much lower estimates of the total run than the previous model. New estimates of the adult equivalency (AEQ) for Coastal West Alaska (CWAK) genetic stock grouping were compared against those available when the Council took final action on Amendment 110 to establish the 3 River index as well as with the updated model used to assess the Kuskokwim contribution to the 3 River index. When this index is below the threshold, it results in lower PSC cap (45,000) and performance standard (33,371) for the pollock fishery for the following fishing year. The determination for 2019 will be made in October during the Council’s action to establish proposed specifications for groundfish. The Council had extensive discussion of the utility of a knife-edge threshold such as status quo as compared to a more dynamic biological reference point for determination of low Chinook abundance resulting in the move to a lower cap level. The Council will continue to consider whether to revisit this threshold analysis in the future, but took no action to do so at this time. Modification of the threshold requires an FMP amendment. Staff contact is Diana Stram. Two items related the Council’s initiative on halibut abundance-based management (ABM) were addressed at this meeting. The SSC reviewed a discussion paper on proposed methodological approaches for the broader ABM EIS analysis and a proposed sub-set of the alternative set for preliminary analysis in October 2018. Of the three approaches proposed, the SSC recommended moving forward with Approach 2: a two-area halibut model framework for estimating PSC limits and their impacts on groundfish and halibut fisheries. This model is under development, and more information will be available for the next SSC review. The empirical approach for addressing impacts to groundfish fisheries will be developed by analysts for further input from the SSC. The SSC made a number of suggested changes to the simplifying assumptions proposed, and provided input for the ABM staff working group to consider in model development. The SSC endorsed the proposed subset of alternatives for preliminary analysis with the addition of another starting point option under Element 2 for contrast (Option 2: 2017 use (1,917t)). Preliminary analysis of alternatives to further assist the Council in refining the alternative set will be available for the October 2018 Council meeting. The analysts noted that under the current frameworked plan for analysis, initial review would occur no sooner than October 2019. The Council also considered a discussion paper on data limitations associated with the use of size-based data for halibut PSC, specifically halibut over 26 inches (O26) as an approximation of legal-size halibut which would be taken by the directed fishery. The paper was requested as the Council was considering whether data would be sufficiently representative for creation of an O26 performance standard in conjunction with the ABM alternatives. As noted in the paper, due to sampling changes resulting from recent years of deck sorting experimental fishing permits, representative data on the fraction of O26 in the groundfish halibut PSC, by sector, is lacking. Beginning in 2018, these sampling issues have been modified to better reflect representative sampling both on deck and in the factory. After considering the various modifications to sampling in recent years as well as issues with data biases as a result of deck sorting the Council chose to take no further action on this concept at this time. Staff contact is Diana Stram. In accordance with Council procedures, the SSC and Council review research priorities each year at the Council’s June meeting. Prior to Council review, the Council’s GOA and BSAI Groundfish, BSAI Crab, and Scallop Plan Teams review existing research priorities and make recommendations for modifications or additions, as needed. Following the June meeting, the updated five-year research priorities are provided to the Secretary of Commerce, the Alaska Fishery Science Center, as well as research and funding entities. The North Pacific Fishery Management Council’s research priorities cover a wide range of topics and are organized and managed within a publicly accessible database (https://research.psmfc.org/). Ranking of research topics is done using four priority categories that are defined to emphasize the correspondence of research to the Council’s time horizon of management concerns. The current list of Council research priorities, as identified at the June 2018 Council meeting, is on the Council’s website (www.npfmc.org). Following last year’s review, the Council expressed a desire to streamline its annual review process, and as a part of that, the Council’s Plan Teams identified a small number of projects to raise to consideration for a “top ten” list. The SSC reviewed and proposed an amalgamated “top ten” list, which the Council reviewed and endorsed. The SSC also provided the Council with a preamble that emphasizes the importance of research categorized as “critical ongoing monitoring” so that the “top ten” do not overshadow the projects that are required for the Council to fulfill its mission. Staff also reported on progress related to the coordination of Council and NPRB supported research. The NPRB and the Council will be modifying their databases in order to synchronize records by research topic and also provide access to funding and reporting relative to the progress on and completion of specific research projects. Develop comparable measures of net value, total value, and economic impacts for the Area 2C and 3A charter and commercial halibut fisheries. Conduct ethnographic research and collect information on the indirect effects of the Area 2C and 3A charter and commercial halibut fishing. Kodiak boats on a sunny day. The Council hosted an evening outreach/listening session in Kodiak on Tuesday, June 5. More than 50 stakeholders – including Council members – attended to comment on opportunities to help the halibut and sablefish IFQ fishery continue to address the program’s objectives. The session was specifically focused on entry-level opportunities and rural participation. The Council received an in-meeting report on the themes and proposals that emerged from the session and initiated two staff discussion papers that will be reviewed by the IFQ Committee then forwarded to the Council with recommendations. The topics of those discussion papers are described below. The emergent theme of the listening session was that stakeholders perceive a dramatic reduction in opportunities to participate in the fishery that has occurred in the course of a single generation. Both entry-level fishermen and residents of remote Kodiak Island communities identified the following barriers to entry: high quota prices, high investment risk given trends in halibut stock abundance, an unfavorable lending environment, and a low-volume quota share (QS) market. As a result, young fishermen have little incentive to work or invest in the fishery relative to other opportunities, thus reducing the ready supply of physical capital (gear) and human capital (experience) when opportunities to enter the fishery do emerge. Three of the potential avenues for action identified in the meeting summary include: taxing QS transfers to create a quota pool for qualified participants; breaking up “blocks” of QS to make more small lots available on the transfer market; and establishing mechanisms to promote intergenerational transfer of QS within rural communities. Those and other proposals are further described in the aforementioned meeting summary, including rationale in opposition. The first discussion paper tasked by the Council will scope mechanisms to promote the transfer of QS from initial QS issuees (those who use hired masters) to skippers/crew. The mechanisms to explore include, but are not limited to, a right of first offer (ROFO) similar to the one in place for Bering Sea crab cooperatives and possible modifications to the Federal loan program. The second discussion paper will review existing program outside of the North Pacific that facilitate fishery access. One example of such a program is Norway’s Recruitment Quota program. The paper will consider such program’s efficacy in their own context as well as their applicability to the North Pacific. Staff contact is Sam Cunningham. At the June 2018 meeting, the Alaska Fisheries Science Center requested input from the SSC and the Council on longer-term planning for BSAI and GOA surveys. In order to complete the full complement of surveys conducted with chartered vessels, the agency needs funding for 5 vessels. It is likely that due to budget constraints and other maintenance obligations, the survey program will only be able to afford 4 or even 3 charter vessels in 2019 and 2020. Given this reality, the agency is requesting the SSC and the Council provide input on Council priorities as the agency considers how to allocate vessels among survey needs. The Council endorsed work by an SSC subgroup to meet with AFSC staff over the summer, and to report back to the SSC and Council in October. The Council is interested in exploring how industry vessel platforms could help supplement the data that will be forgone through the reduced availability of chartered survey vessels, and encourages the SSC subgroup and the AFSC to discuss opportunities for cooperative research. Staff contact is Diana Evans. The Council received a summary report on the one-day ecosystem research workshop held on February 7th, in conjunction with the February Council meeting. The workshop was intended to engage the broader Council community, including Council members, scientific and industry advisors, and stakeholders, in a discussion about how the growing body of ecosystem knowledge can be incorporated into the Council process. Fisheries Forum, who helped facilitate the workshop for the Council, prepared a Summary Report which synthesizes the major themes of workshop discussions. Additionally, they worked with the workshop Steering Committee (which includes representatives of Council and AFSC staff, and Council, AP, and SSC members) to develop a short discussion document to frame the Council’s conversation about next steps. The Council recognized the success of the Ecosystem Workshop, and is interested in continuing the inclusive and informative dialogue among stakeholders and experts on ecosystem science and other topics within the Council’s fishery management arena. The Council directed staff to prepare a short report on ways to incorporate other such periodic forums into the Council process, and potential topics that could be useful. Staff contact is Diana Evans. Initiated two discussion papers to related to IFQ community access and entry opportunities, one addressing lessons for the Alaska IFQ program from other global programs including Norway’s Recruitment Quota Program, and an exploration of regulatory and non-regulatory mechanisms for transfer of quota share to hired masters and crew. Directed staff to submit comments to NMFS on the draft EM cost allocation procedural directive incorporating recommended comments from the Observer Advisory Committee. Endorsed the recommendations from the NOAA Report to Congress on Aleutian Islands Pollock, including that NMFS should assist Adak with an exempted fishing permit to allow fishing in specific areas of the AI currently closed to directed fishing to determine the distribution and stock composition of AI pollock, and that NMFS should provide the test fishing results to the Council and explore whether revisions to existing regulations are warranted by the test fishing results. Directed staff to track national legislative bills relating to aquaculture, and to develop a consensus positions as per the Legislative Committee’s recommendations. Directed staff to write a letters to the AFSC thanking them for supporting the valuable bathymetry work as presented to the Ecosystem Committee, and noting how the work helps Council consideration especially with respect to EFH and the Bering Sea canyons. Directed staff to write a letter supporting potential trawl grant proposals for EM development in 2019, by communicating the Council’s preliminary trawl monitoring objectives as identified at this meeting. Appointed a Cook Inlet Salmon Committee. Changed the names of the following committees: the Observer Advisory Committee is renamed as the Fishery Monitoring Advisory Committee, and the EM Workgroup is renamed as the Trawl EM Committee. Observer Advisory Committee: September 13-14, Seattle.